The banner for Endeavour mission STS-113, which was an International Space Station assembly flight. 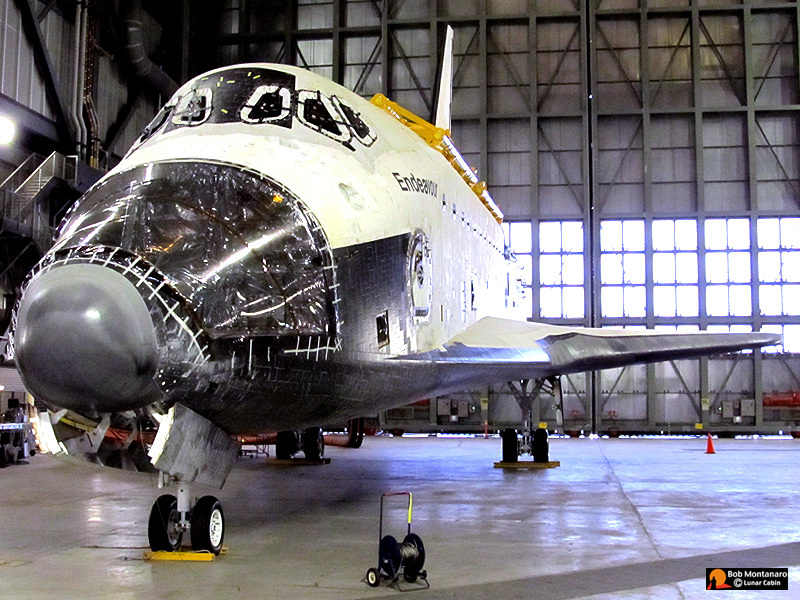 Space Shuttle Endeavour sits forlornly in the Vehicle Assembly Building looking less than her best as she undergoes decommissioning to prepare her for her future life as a museum exhibit in Los Angeles, California. Note the closed hatch under Endeavour's name where the astronauts would enter the Shuttle on the launch pad and exit from upon landing. The most noticeable changes in Endeavour's appearance are the absence of the bulbous Orbital Maneuvering System pods that would be sticking out from the back of the vehicle and the plastic sheet covering the gaping hole in her nose from where the Reaction Control System was removed. 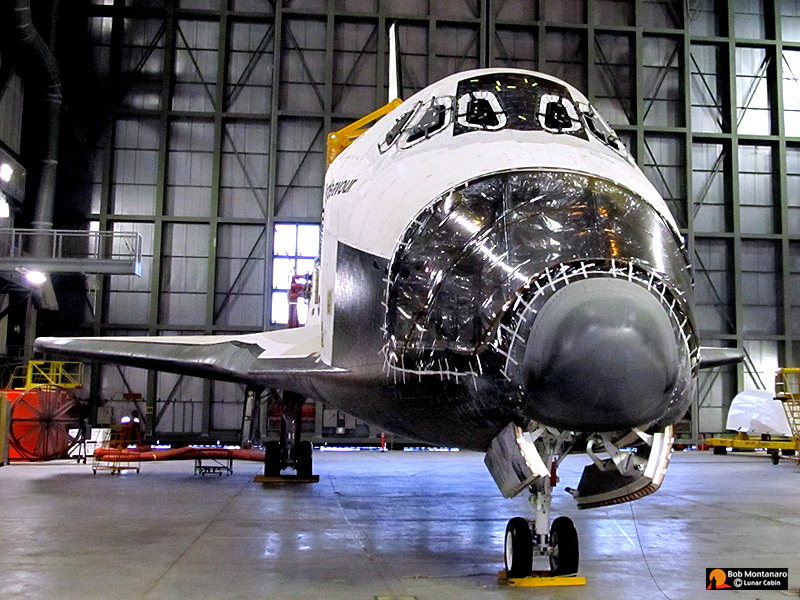 Cosmetic substitutes for the missing parts will be added before Endeavour goes on exhibit in Los Angeles to return the Shuttle to its operational appearance. 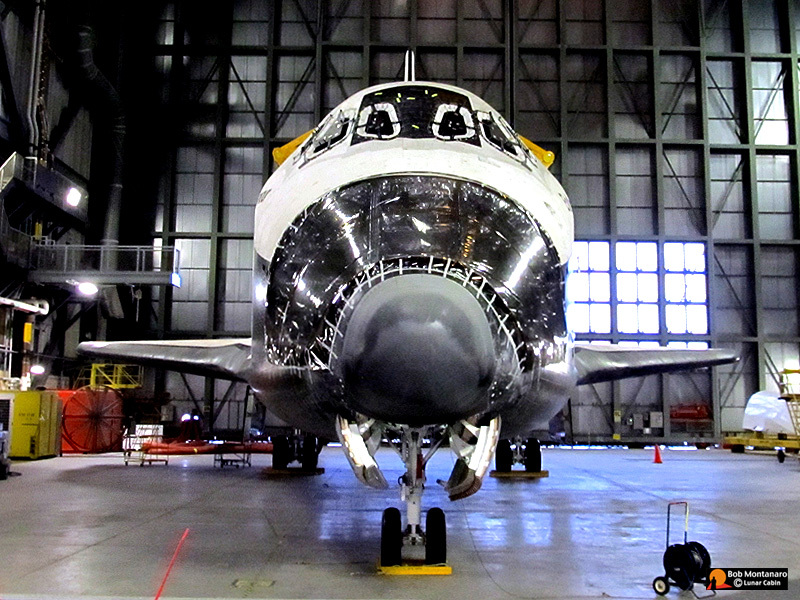 Endeavour's last mission (STS-134) flew in May 2011.